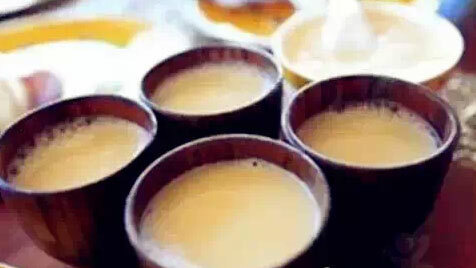 Butter tea is a featured drink in Tibet. It is always drunk with Tsampa (roasted barley flour). There are many functions of butter tea, such as warming up the body, avoiding mountain sickness and preventing body’s dryness.